Mau5trap shocked us all as they uploaded a teaser for a new track to their Instagram. 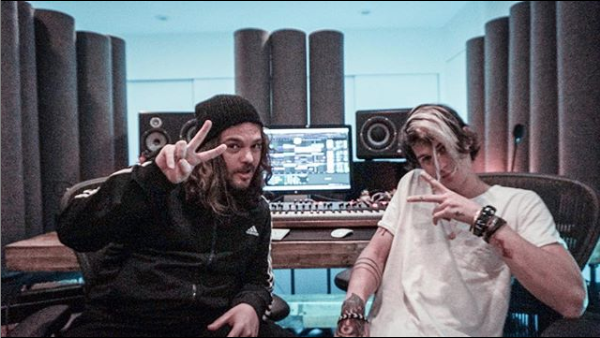 The track in question is a new collaboration between their resident hacker i_o, as well as fan favorite Tommy Trash. The two producers have previously teamed up on ‘Oxygen‘ with Daisy Guttridge in 2017, and if you’ve ever listened to that, you know how good it was. It is hard to tell if ‘Let Me Go‘ will follow the vibe set with ‘Oxygen‘. For all we know, the two producers might change things up again. It will be interesting to see what this new track will sound like as a whole. This is because the snippet uploaded to Instagram is only 20 seconds long. From the looks of things, this is gonna be good one. The post was simply captioned with the producers usernames, as well as the date of “02.08.19“, so I guess safe to assume we can listen to this track in its entirety come February 8. It is easy to see that the way that things have been going for i_o, fans are going to have a hard time waiting until the release date for this one. It goes without saying, that fans are also excited to finally get some new Tommy Trash material as well. February 8 cannot come any sooner. The original post can be found below.